Back in 2003, Prof. Bert Vaux posted a dialect survey to help determine how people pronounced certain words and the difference in the words used to describe certain items or events. The dialect survey has now become a viral internet challenge known as the – Accent tag or Accent Challenge. 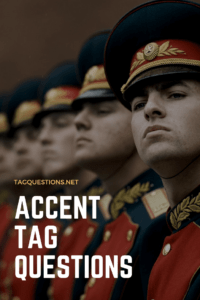 To play the accent tag, you would have to answer a series of questions known as the – accent tag questions. Afterwards, you will pronounce a list of words that helps determine your accent. Aunt, Roof, Route, Wash, Oil, Theater, Iron, Salmon, Caramel, Fire, Water, Sure, Data, Ruin, Crayon, New Orleans, Pecan, Both, Again, Probably, Spitting image, Alabama, Lawyer, Coupon, Mayonnaise, Syrup, Pajamas, Caught, Naturally, Aluminium, and Envelope. When taking the tag, it is best you signify what type of accent you have – in this case, the girls have a Jamaican accent. Ever wondered what a Sweedish version of the accent challenge would sound like? There you go, that’s how you do the accent tag.